If you’ve been buried in your projects, hiding in your storeroom this is an unequivocal guide for you to select the trends in best programming languages in 2018. It is advisable that comparison criteria should be centered on outcomes instead of essential object-oriented features like overriding, polymorphism, function and operator overloading, variable declaration, exception handling etc. Do programming skills match with the strategy? What is your platform and middleware strategy over that time period? Which language is supposed to be consistent over the coming period of time? What will be the programming requirements for maintenance over the next five years? Although it depends on your familiarity with the programming language, with the availability of many frameworks, PHP eases development and allows for fast coding. Although the popularity of Java has been decreased as compared to last year still it remains the stable and most reliable option for web development. Frameworks based on Java that mobile and web developers need to learn in 2018: Angular, Node.JS, Spring Boot, React, React, Bootstrap, jQuery, Spring Security 5, Apache Hadoop, Apache Spark, Cordova, Firebase, and Xamarin. Although being in the industry for years, Java is considerably heavyweight, while Golang (Go) is lightweight. Later is often denoted as Java killer. It combines the features of being fast as C programming language and being as simple as Python programming language. It is more efficient than Java and Erlang programming languages in efficiency and performance. Go programming language is good for web-API on the backend and it further becomes robust with the availability of the scalable server. “Ruby” as a programming language isn’t good for web development by “Rails”, the framework written on it makes it a suitable choice for developers. However it is difficult to decide between Golang and Ruby on rails, it largely depends on the availability and choice. While Golang is restrictive and verbose, Ruby is comparatively easy and better suited for small specific services, especially one that requires fan-in and fan-out processing. 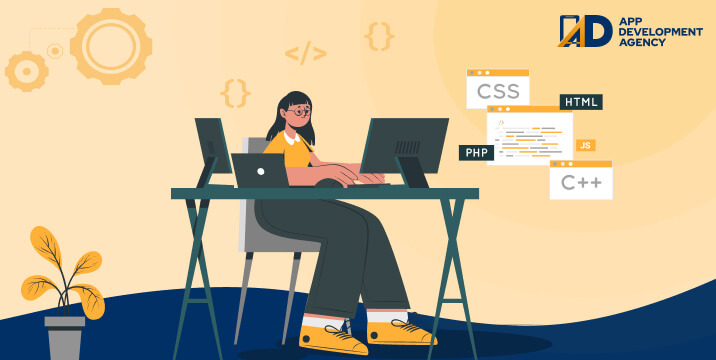 Requirements of the client, expertise of developer, availability of libraries, community support, and availability of programmers are some of the underlying factors considered by top web development companies that help in taking the decision about the programming language to be used for the upcoming project.